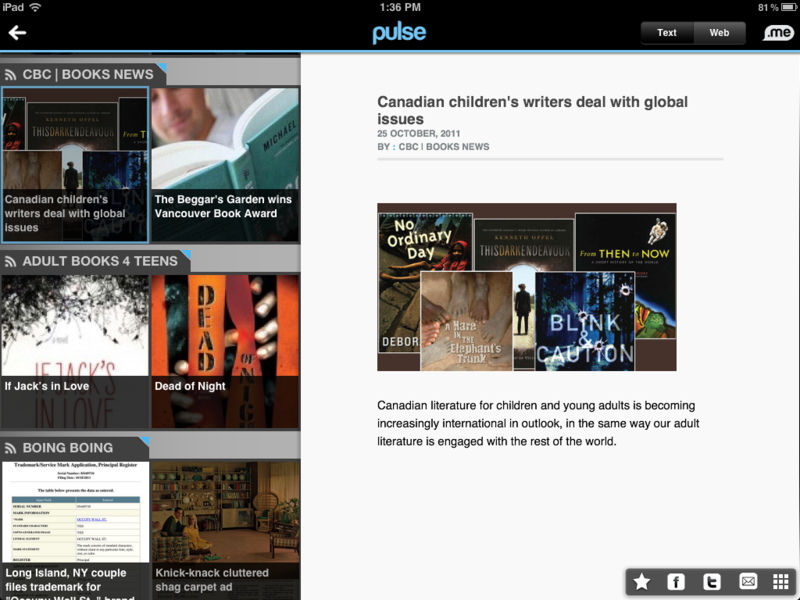 In my daily librarian meanderings, I look at a lot of blogs and websites. Some are so useful I go back to them again and again. Collection development, new trends in librarianship, in books, in education, friends, YA authors – you name it, I probably follow it. 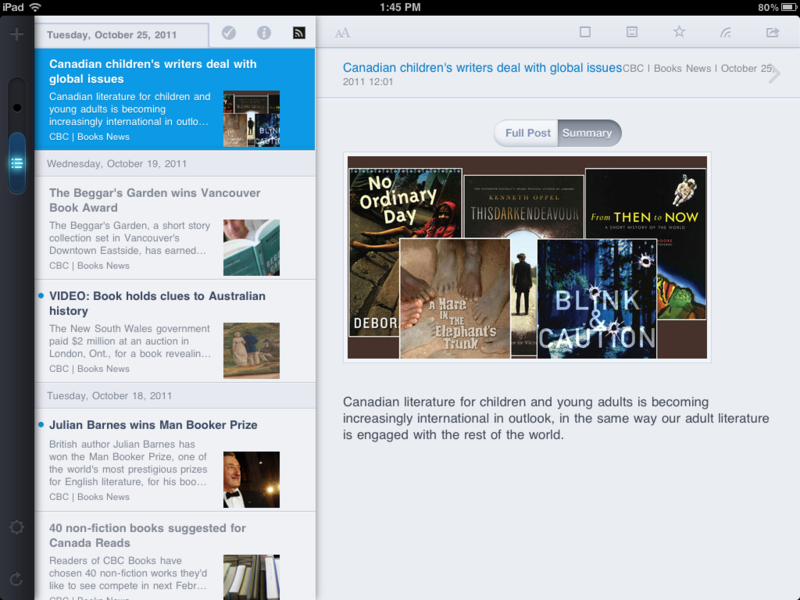 Google reader is a big part of my work life and my personal life and so, when I wanted to gather the blogs, and the websites I wanted to check in with regularly for the ipads, my first order of business was to create an ipad folder. Problem. 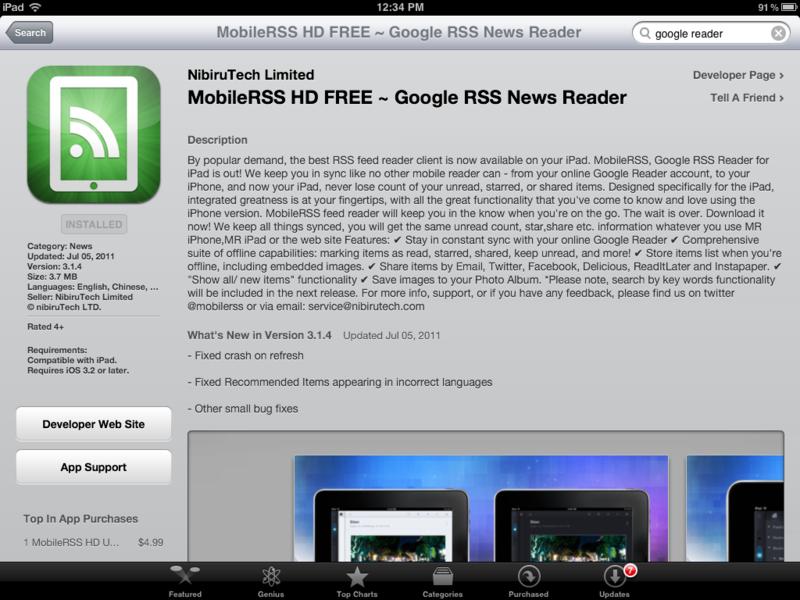 Viewing my RSS feed folder through google on Safari was, let us say, not ideal. 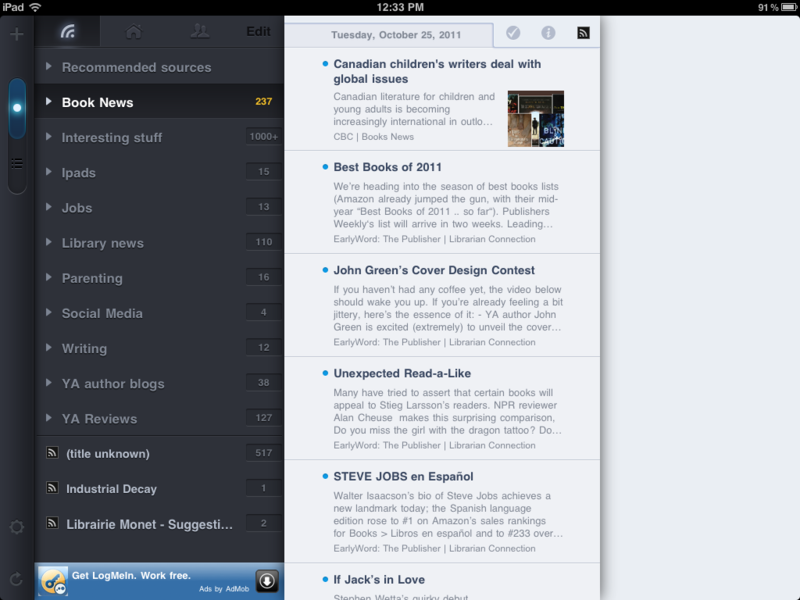 How awesome would it be if I had an RSS app? MobileRSS HD Free ~ Google RSS News Feeder was so simple to use it almost made me cry ( I did spend all day yesterday trying to figure out why the hotwater tank on the second floor wasn’t getting any electricity- simple is good and tear-worthy). 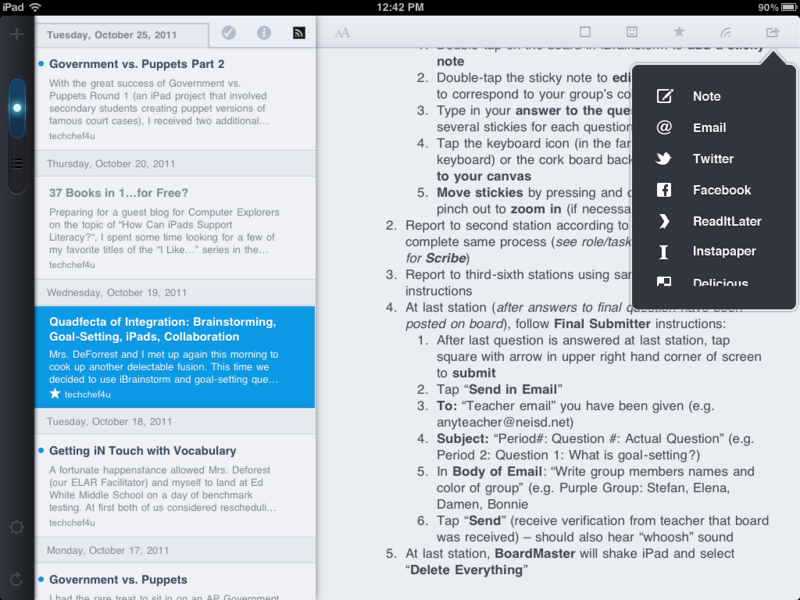 It also allows the same functionality as I have on my desktop. I can star it for later use, email it to people, add it to my delicious or share with my network of friends. I am extremely thrilled. 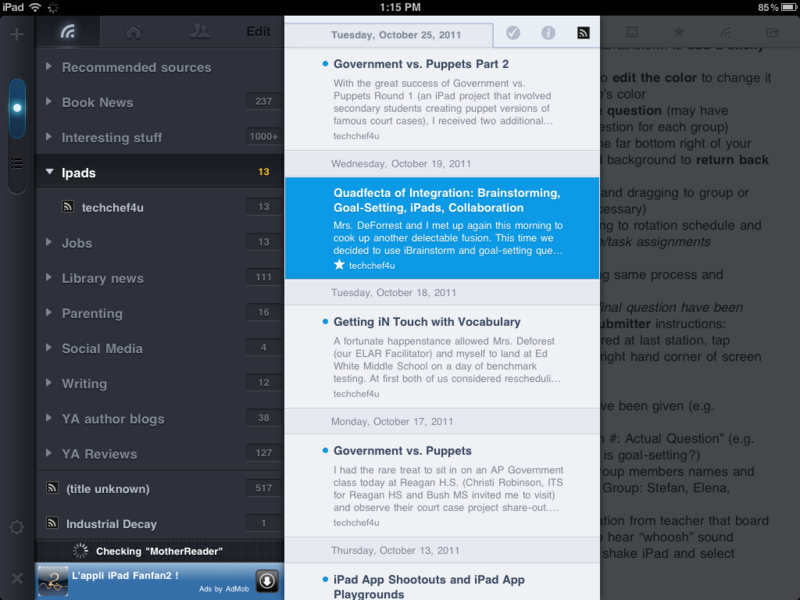 I might even populate that RRS feed with more stuff now that it is so easy to get on the ipad. 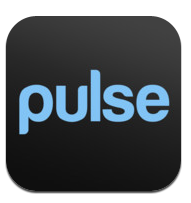 Pulse: I think Ms. Brown, intrepid English Teacher and innovative ipad explorer showed this to me once and said it was one of her favourite apps. 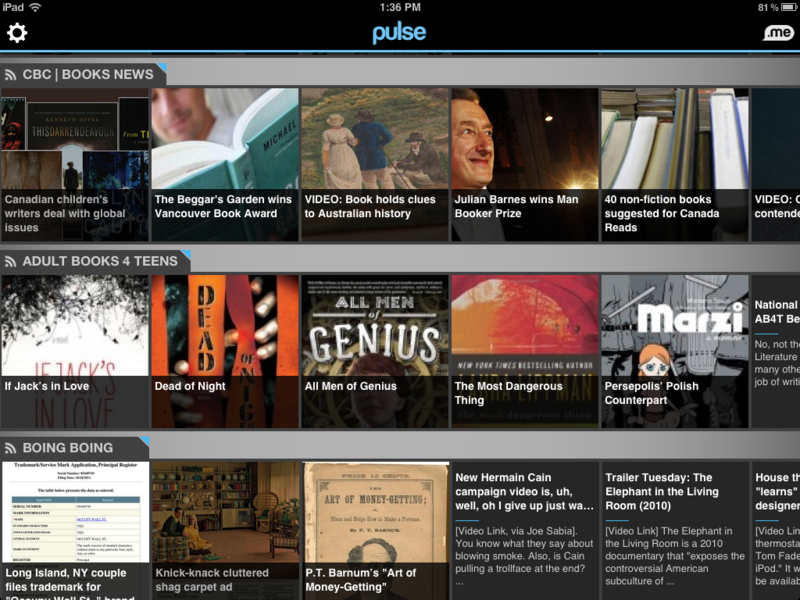 The interface is grand, with stories from individual sources in nice, neat, scrollable rows. You can also add your RSS feeds to it and then change the order of how you want your RSS feeds to appear.It took me about three times to get rid of the default ESPN feed though and it isn’t as intuitive. This is what happens when you click on a story. 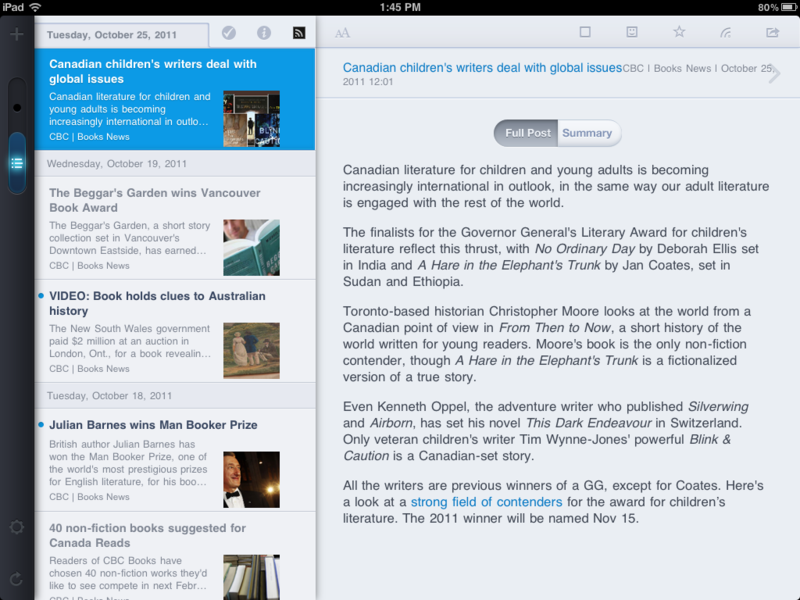 Personally, I think I will use the first RSS feed for my Google reader, as the lay out is simple and allows me to navigate easier between the subjects. 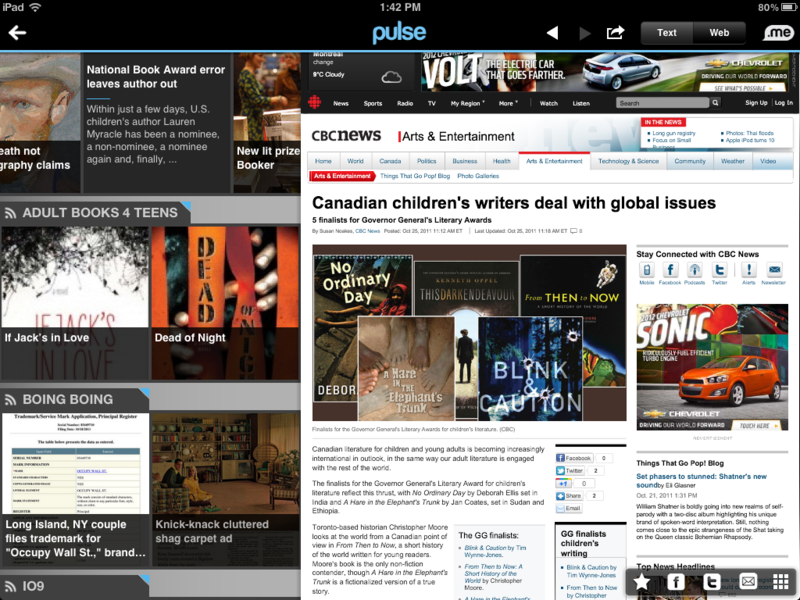 Still, I have to admit, I am getting seduced by Pulse’s interface…. I am getting old. I need a lot of white space. Oh! And both Apps are free, so who needs ot choose anyway? I can use both!